Get detailed sound from your favorite Xbox One games with this headset and mic combination from Astro. 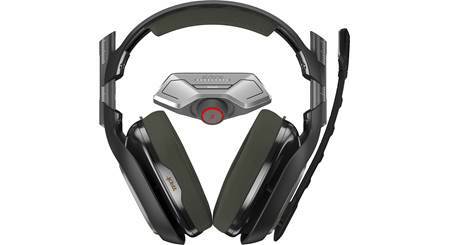 Get detailed sound from your favorite Xbox One games with this headset and mic combination from Astro. The included MixAmp module connects to your game controller and receives audio signals wirelessly from your console. The headset connects to the MixAmp with an included one-meter cable. You can hear the sound of those hard-fought boss battles, but nobody else in your house needs to! The included microphone boom can attach to either earcup. The MixAmp has a master volume knob, and buttons for balancing game soundtrack audio with your chat volume. If chatting is not your thing, the mute button lets you easily disable the mic. Choose from three selectable EQ modes to dial in the sound to your liking. And you can customize your A40 TR headset with Astro's mod kits (available from the manufacturer), for changing up the look and getting better noise isolation. 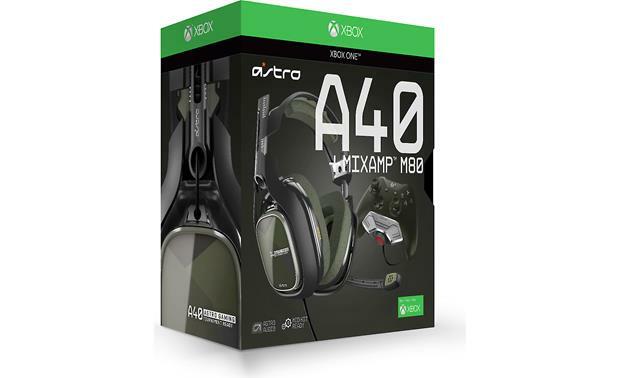 Overview: The Astro A40 TR + MixAmp M80 bundle includes a premiere gaming headset, with an adapter that docks directly to the Xbox One controller. The A40 TR over-ear headset puts you in the middle of the action with its pro audio quality. The MixAmp M80 gives you fingertip control of all of the important audio controls, and plugs into the A40 TR headset. The Astro A40 TR + MixAmp M80 bundle comes with a 1-meter auxiliary audio to let you use your A40 TRs with other platforms. A40 TR Design: The Astro A40 TR is equipped with plush ear and headband cushions that are covered in soft cloth. The drivers are housed in an open-air ear cup, and deliver pro quality audio. An optional Mod Kit lets you transform the A40 TR into a closed-back, noise-isolating headset (sold separately by the manufacturer). A 6mm unidirectional, noise-canceling microphone is mounted on the 7" boom. The headphones weigh just over 13 ounces. EQ Modes: Using the button on the top of the adapter, you can cycle through the three EQ modes: Pro Mode, Core Mode, and Astro Mode. The LEDs will indicate which mode you have selected. Master Volume: The rotary control on the front of the adapter controls the master volume. The LED array will gradually illuminate as the volume increases. Microphone Mute: You can quickly and easily mute/unmute the headset microphone by pressing the button inside the rotary control. The LEDs glow red when the mic is muted. 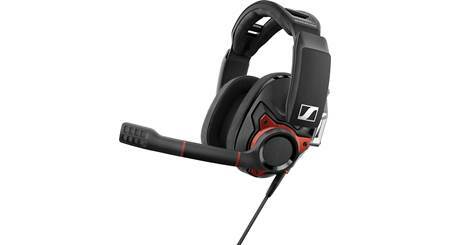 Voice / Game Audio Balance: The balance between the voice audio and game audio is controlled by the two outer buttons. When the left button is pressed, the voice audio is increased. Pressing the right button increases the game audio. The LEDs will move left or right to indicate the voice / game audio balance. 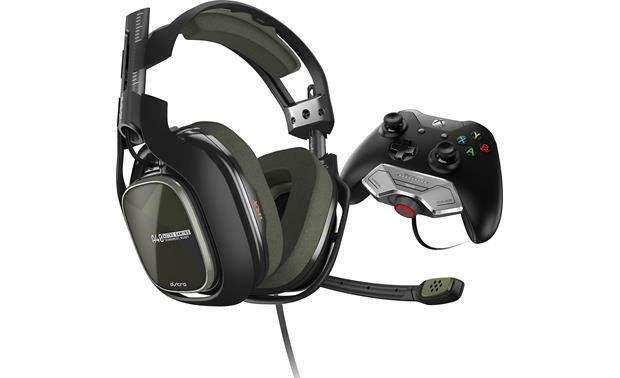 Searches related to the Astro A40 TR + MixAmp™ M80 Gaming headset for Xbox One.